Daughter of Henry Oran Randal and Julia Ann Sewell, Gertrude Randall was born on December 9, 1886, in Franklin County, Georgia. 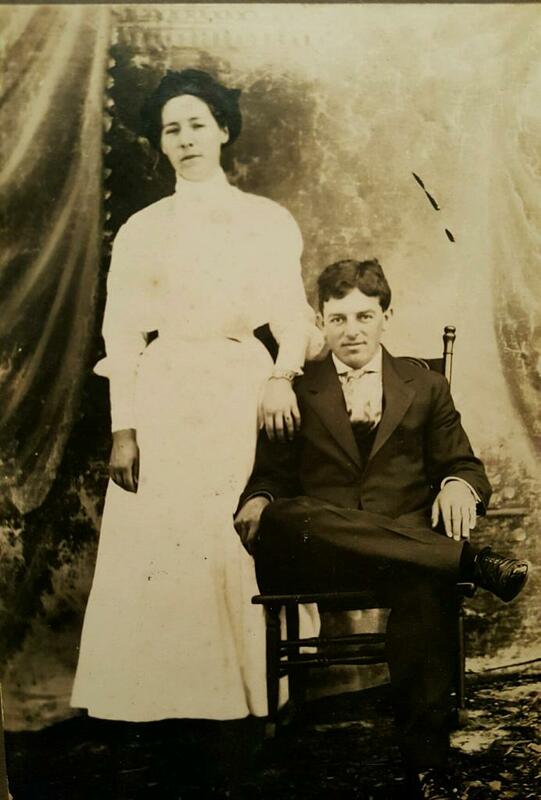 On April 4 (or 19th), 1906 Gertrude Randall (at age 19) married William Farmer Clarke (age 19). 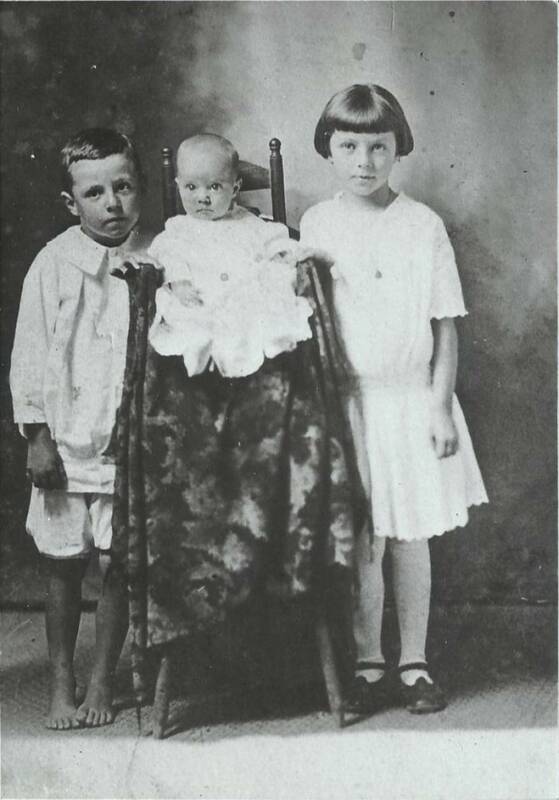 William Farmer Clarke (born July 22, 1886) was the son of Jesse Thomas Jackson Clarke (March 15, 1863 - April 10, 1940) and his wife, Sallie Tallulah Adams (Dec. 4, 1866 - March 11, 1952). Carlene Smith, b. January 17, 1925. She married Walter M. Virdon on June 10, 1960. 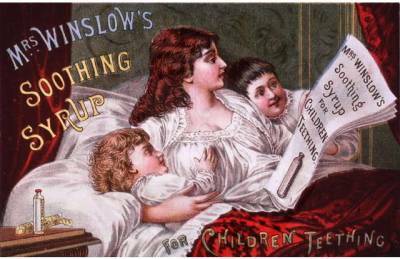 Although a highly addictive opiate drug, during the early 20th century, children were commonly given morphine in syrup form (available over-the-counter) to quell teething pain. During the Great Depression (1929-1939), women started reusing the fabric from flour sacks to make dresses. 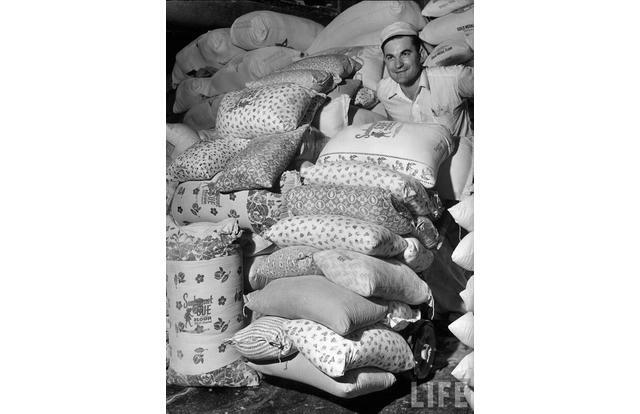 When the flour companies realized this, they started printing their bags with floral and other designs to make them more appealing to consumers. 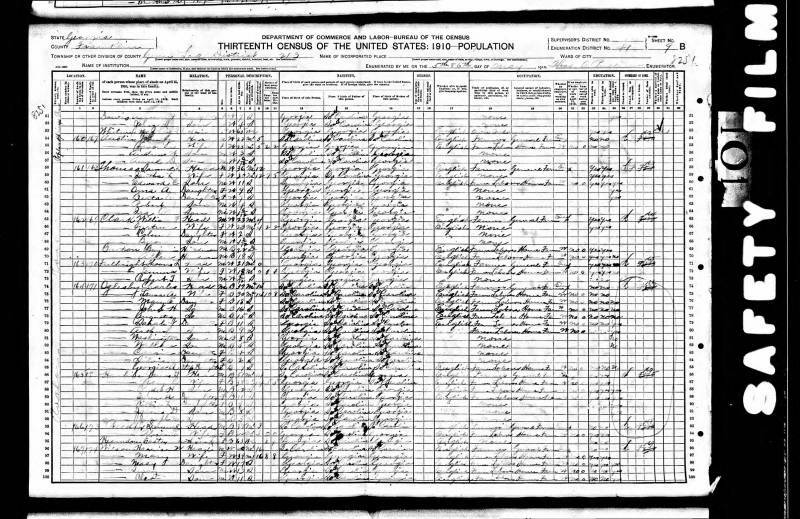 1910 United States Federal Census. William F. Clarke's family begins on line No. 65. 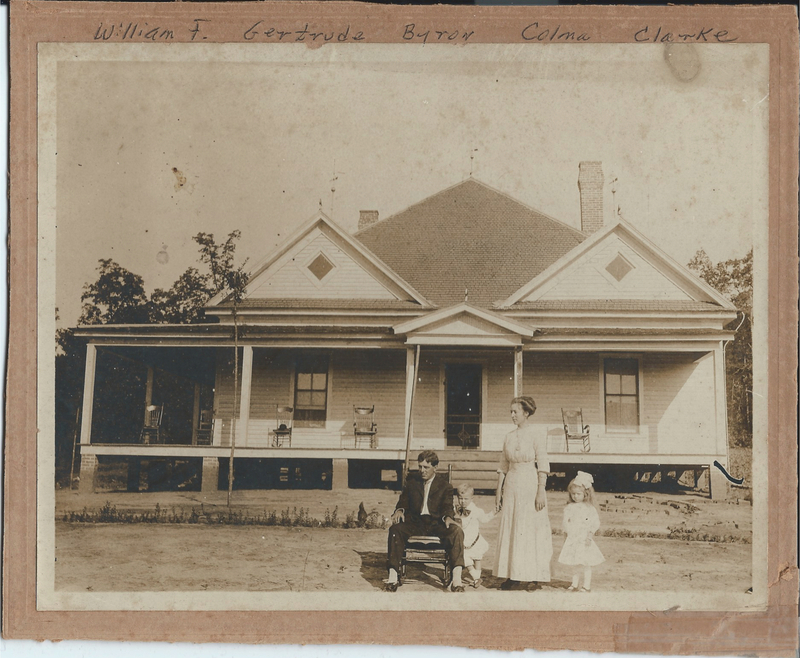 William F. Clarke, Byron Clarke, Gertrude Clarke & Colma Clarke outside their home. Circa 1913. Byron Hudson Clarke, Sara Clarke & Colma Clarke. Circa 1915. 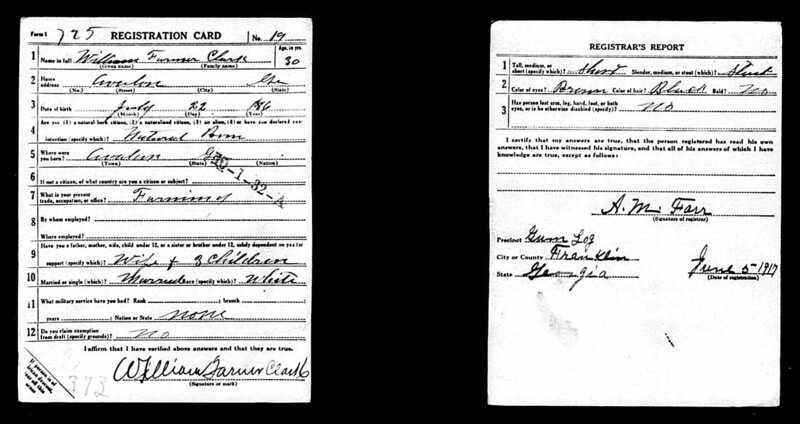 William Farmer Clarke's WWI Draft Registration Card - Dated June 5, 1917. 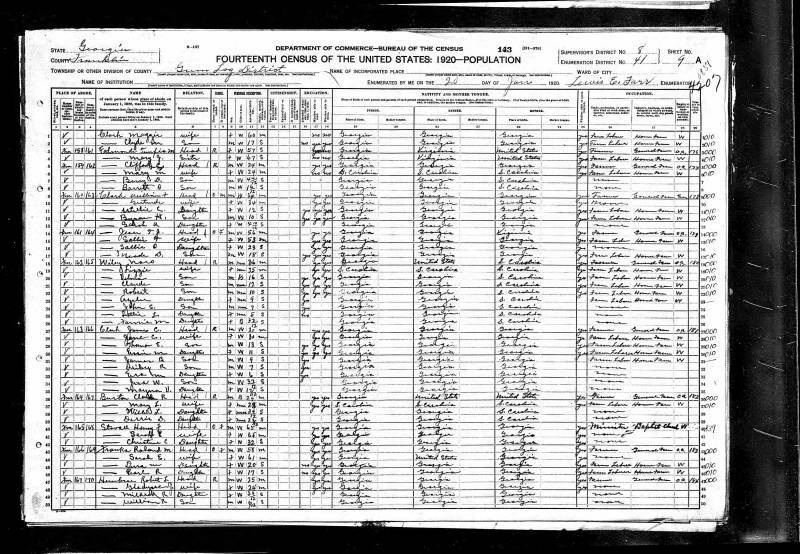 1920 United States Federal Census. William F. Clarke's family begins on line No. 9. Source: “United States Census, 1920”, Supervisor's District No. 8, Enumeration District No. 41, Sheet 9A. 1930 United States Federal Census. 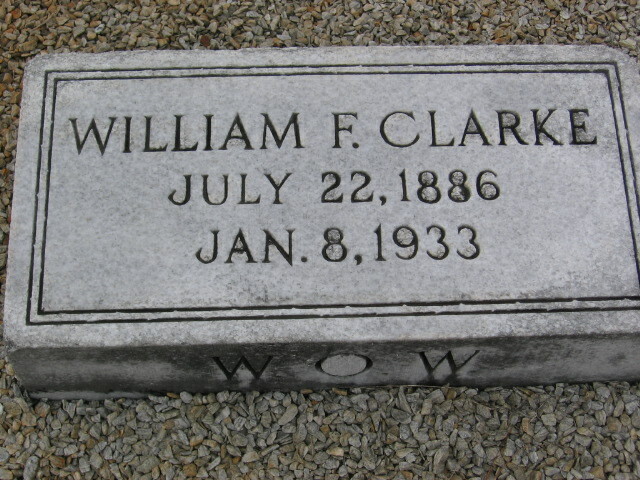 William F. Clarke's family begins on line No. 56. 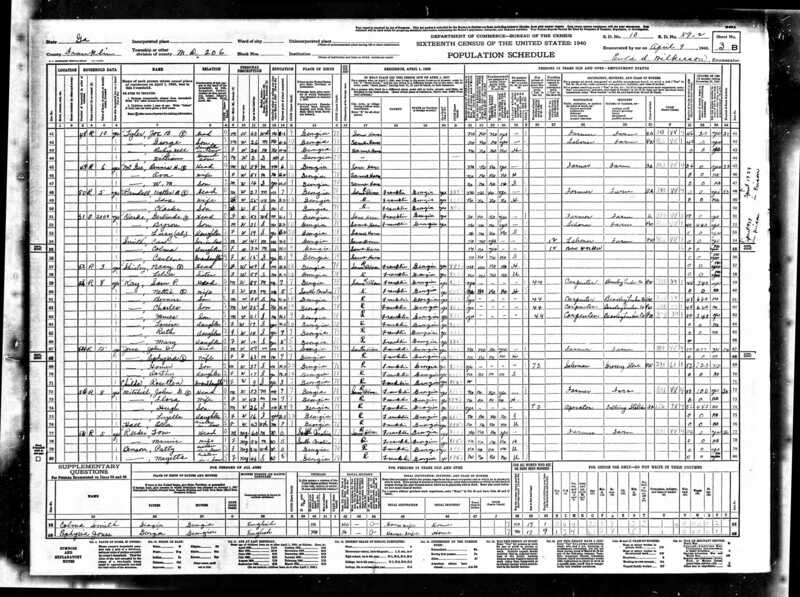 Source: “United States Census, 1930”, Census Place: Gumlog, Franklin, Georgia; Roll: 357; Page: 7B; Enumeration District: 0006; Image: 354.0; FHL microfilm: 2340092. 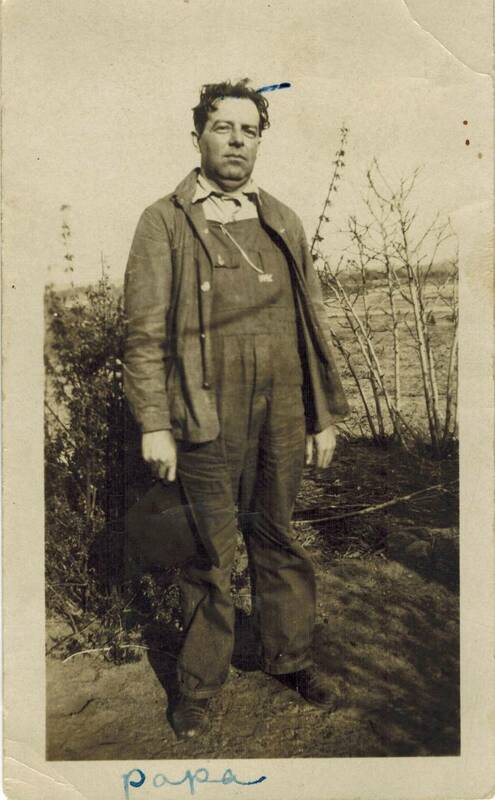 William Farmer Clarke on his farm (Age: probably late 30s - early 40s). Year unknown. As the inscription at the bottom of the photo indicates, he was known to his children as “Papa”. William Farmer Clarke died on Jan. 8, 1933 (death certificate# 2982), at age 46. The family lore was that he drank himself to death. Sara Clarke Randall (age 20), Byron Hudson Clarke (age 26) & Gertrude Clarke (age 49). December, 1935. 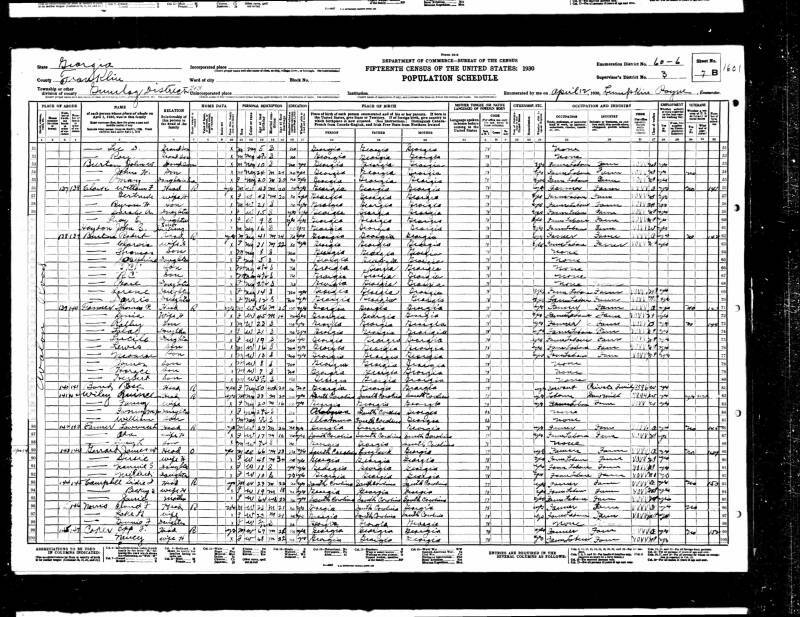 1940 United States Federal Census. Gertrude Randall Clarke's family begins on line No. 51 (immediately below her brother, Walter Baxter Randall - who lived across the street from her). 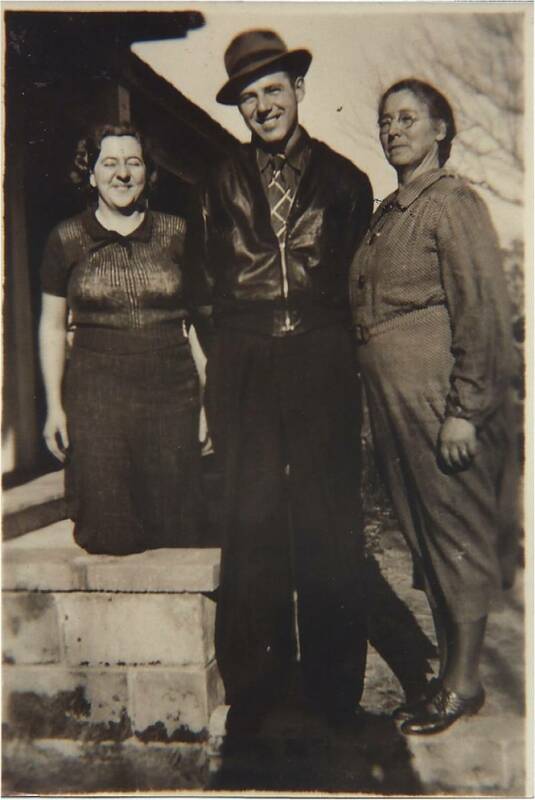 Gertrude's grandson (Sara Ann Clarke Randall's son), Walter Clarke Randall, spent every night at her house when her son, Byron Hudson Clarke, was drafted into WWII. Lucy Clarke went to college in Tifton, GA. - the first of the Clarke or Randall family to attend college! She graduated with a 4-year degree, and moved to Brevard, NC where she went to work for Ecusta Paper Corp. (in Pisgah Forest, NC - near Brevard, NC) working as a Chemist in the laboratory. As was the family tradition, to her grandchildren, Gertrude was known as “Mama Clarke”. 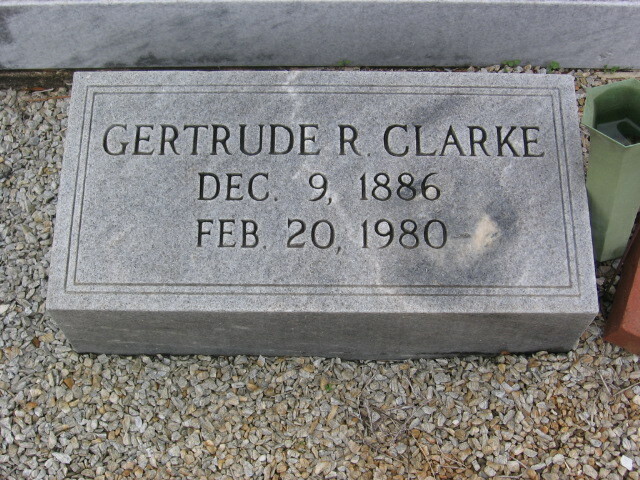 Later in life, Gertrude developed diabetes and died February 20, 1980 (at age 93) while residing at “Lipscomb Nursing Home” in Toccoa (Stephens County), Georgia. William Farmer Clarke (July 22, 1886 - Jan. 8, 1933). The “WOW” engraved on the bottom side of the gravestone indicates “Woodsmen of the World”.